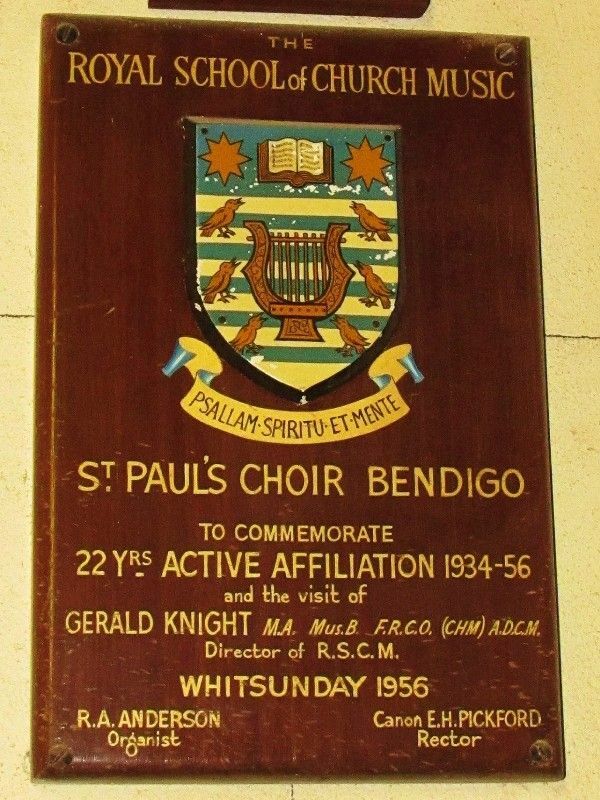 A plaque commemorates 22 years of affiliation between the Royal School of Church Music & St Paul`s Choir, Bendigo, and the visit of Gerald Knight, the Director of The Royal College of Church Music in 1956. GERALD KNIGHT M.A. Mus.B. F.R.C.O. (CHM) A.D.C.M.